Here at Howson we are a family run print business with a friendly ‘can do’ attitude to your print requirements, from your initial ideas to final delivery, we take pride and care in the service we offer. Established over 20 years with a vast experience and knowledge in lithographic and digital printing techniques coupled with creative design and finishing options we feel our passion for perfection will prove itself in our delivered product. Whether it be from a single business card to a complete business starter pack and beyond, our attention to detail will ensure that you get exactly what you want visually to promote your business, not forgetting all at a highly competitive price and our ability to meet your deadline delivery time. 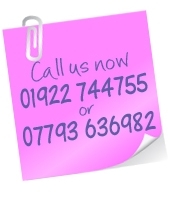 Why not contact us today and let Howson Print take on your print requirements.